Get a complete guide of convert OLK14 software which will help you to understand its working methodology. Know step by step, how this software converts PST file into various other formats. Install and start the Software. Click on Add File. 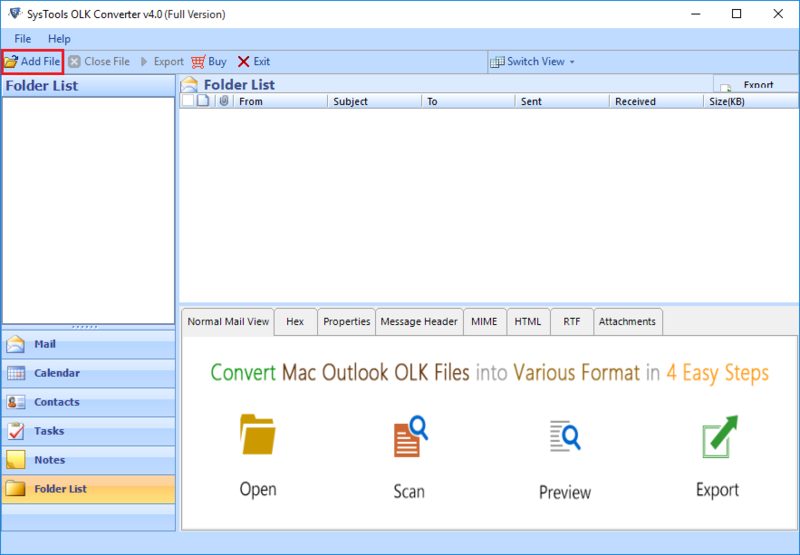 Browse the olk file in your machine. 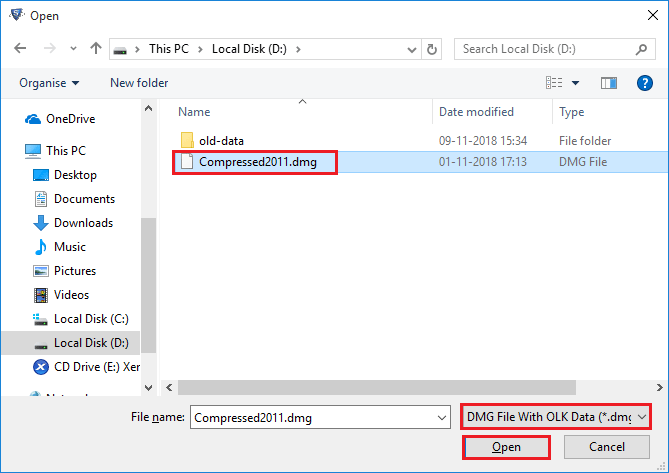 This tool supports to dmg file to add the olk file. After browsing the dmg file, click on Add file. 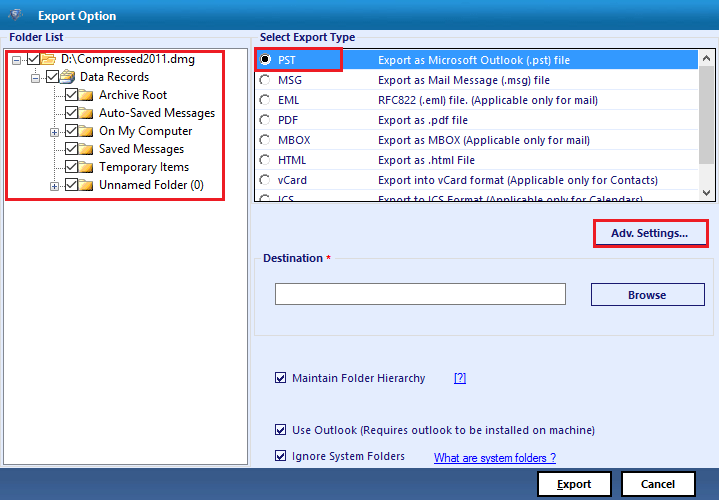 Select the the desirable folder to export and click on Export option. Choose the folder from folder list and select any Export Option in which you want to process your conversion. 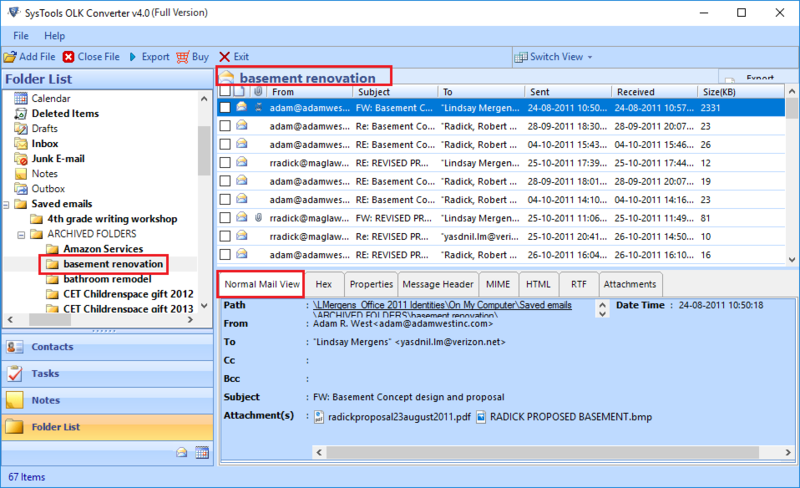 After complete conversion, a successful Exported message will be shown by the tool.